Stephanie Suzette Deese, a 21 year old from Monroe and a student majoring in psychology at Western Carolina University, was killed in an automobile accident in Cullowhee, North Carolina. The driver of the 2007 Hyundai, Alan Huneycutt, another student from Concord was seriously injured in the accident and taken to Mission Hospital. The Highway Patrol was on the scene investigating the accident, which occurred on Sunday, March 25, 2012 at around 1:10 PM on Speedwell Road near the university baseball field. It is unknown if driver distraction played any role in the accident but there was a baseball game being played. According to the investigation, the Hyundai left the roadway and went over an embankment, flipping and hitting a tree. Whether speed or alcohol played any part in the accident has not been released however, the speed limit was said to be 30 miles per hour. It is also unknown as to whether either party was wearing their seat belts. Automobile accidents are one of the primary causes of death among college students. In addition to the feeling of invincibility that we all have had during those formative years, there are many factors that lead to conclusion that automobile accidents rank at the top of the list for college student deaths. One of those factors involves the use of I-Phones or other electronic devices to communicate with others, either by talking or texting. Another is attempting to get from one location to another in unfamiliar territory by having attention diverted from the roadway to the GPS. There are out of town trips, fraternity and sorority parties, athletic events, perhaps being away from home for the first time and lastly, alcohol. The combination of any of these is lethal and can result in unending grief and torment for those that have had their beloved son or daughter maimed or killed in a catastrophic accident. The decisions that must be made are critical and they come at a time when you are not thinking clearly. It is important during this time of indecision to contact a North Carolina Personal Injury Attorney to advise and guide you about your options regarding claims or causes of action for personal injuries and medical expenses, wrongful death, liability issues and dealing with the insurance companies. Auger & Auger is a North Carolina Personal Injury law firm with nearly 40 years of collective experience standing ready to help you. Contact us now to schedule an appointment for a confidential, no obligation consultation to discuss your particular situation. We have five convenient offices located in Charlotte, Raleigh and Greensboro. Our attorneys and experienced staff will provide you with the highest quality legal representation from the beginning to the successful resolution of your case. All cases are handled on a contingency basis, which means that you owe no attorney fee unless a monetary recovery is made. A Charlotte pedestrian was recently hit by a car and killed. Brittany Palmer, 18, was killed when she was attempting to cross Eastway Drive near Garinger High School. Another pedestrian from West Charlotte High School received serious injuries outside that school. Matthews Police Department then reported that a David Butler High School student was hit by a driver on Matthews-Mint Hill at Swain north of Interstate 485 and East Independence Boulevard. The police investigation revealed that the young man was walking along the side of the road when he accidentally stepped onto the roadway in front of oncoming traffic. Reportedly no charges will be filed against the driver of the vehicle. The boy was treated at the scene by MEDIC and it was confirmed that his injuries were not critical although he was taken to the hospital for observation. Several neighbors in the vicinity of the accident indicated that the area is very dangerous because the roadway is heavily traveled and they see drivers speeding, making illegal U-turns and breaking the law there all the time. Some parents of Butler students say that the danger is created where Matthews Township Parkway turns into Matthews-Mint Hill Road. At that point there is no warning signs, traffic signals or designated crosswalks for children leaving the school and needing to cross at Swain and Brandywine. Parents have been up in arms about the situation and traffic engineers with the North Carolina Department of Transportation are considering the intersection for potential improvements, as reported by FOX Charlotte. Parents of children at Garinger High School have also been petitioning for more and better safety measures outside that school. This marks the third major accident resulting in injury or death near a Charlotte-Mecklenburg school within the last thirty days, according to The Charlotte Observer and WCNC. Dangerous school crossings are accidents waiting to happen. Traffic is heavy, people are trying to get to work or going home, children are excited about getting out of school and inattentive and often there are inadequate warning signs, signals or crosswalks provided. Hopefully, you will never have to get that phone call telling you that there has been an accident near the school and your son or daughter was seriously injured and on their way to the hospital or dead. If you do however, there will be decisions to be made in days to come about what caused this tragedy. You will need the advice and counsel of highly experienced attorneys to guide you through these tough times. 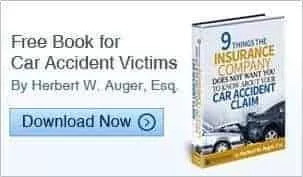 If you, your family, friends or relatives have had a loved one injured as a result of a car accident, please contact Auger & Auger for a confidential, no obligation consultation. Our North Carolina car accident attorneys and staff will guide you through the process and be by your side every step of the way. All cases are handled on a contingency basis and you will owe no fee unless a monetary recovery is made.